If you have type 2 diabetes, you know that carbohydrates matter. Although eating carbohydrates can be part of a healthy diet, eating too many carbohydrates at a meal can make blood sugar levels soar. In addition to the quantity of carbohydrates, the quality of carbohydrates is important too. You see, not all carbohydrates are created equally. There are simple and complex carbohydrates. And within each of these categories, there are options that are better and worse for you and your blood sugar levels. Understanding the difference among sources can help you strike a balance in your eating — helping you to keep your blood sugars ​in an acceptable range while feeling full, and maintaining a healthy weight. Simple carbohydrates are made up of just one or two sugar molecules. As such, it doesn't take much for your body to break them down and absorb them (as glucose) into the bloodstream. For this reason, simple carbohydrates raise blood sugar much faster and usually higher than complex carbohydrates. Simple carbohydrates are found in processed foods, such as table sugar, candy, syrups and sweetened beverages like soda. These simple carbohydrates don't have additional components, such as fiber, to slow digestion and they lack nutritional value. Natural sources of simple carbohydrates are healthy food choices that can be included in a diabetes meal plan when portion controlled — they contain vitamins, minerals, protein, and fiber. These foods include: fruit and milk. Complex carbohydrates are starches. They're made up of longer chains of sugar molecules, which makes them take longer to digest. Since complex carbs are digested more slowly than simple carbohydrates, most sources do not raise blood sugars as quickly as simple carbohydrates. Foods that fall into this category are starches, such as legumes, grains, peas, and potatoes. Dietary fiber is also considered to be a starch and is found in non-starchy vegetables and whole grains. Just as with simple carbohydrates, some are healthier than others. The healthiest complex carbohydrates are the least processed or refined. Whole grains (rather than refined grains), starchy vegetables, non-starchy vegetables, and legumes are the best complex carbohydrates. 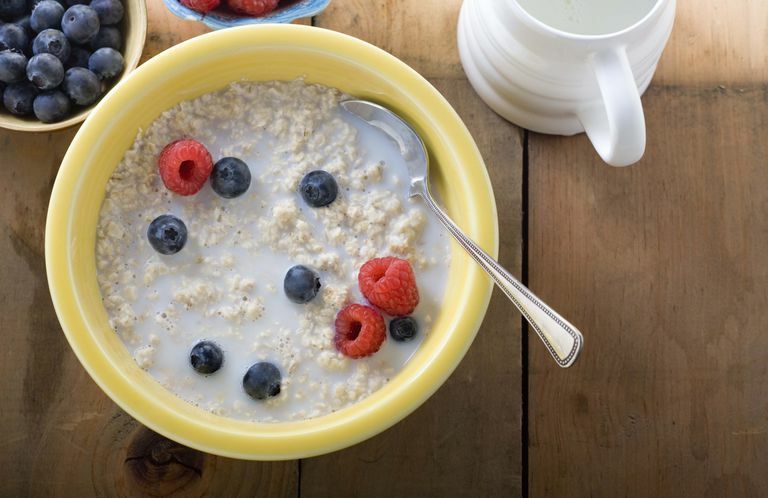 Examples of these foods are brown rice, quinoa, barley, bulgur, oatmeal, other whole grains. Potatoes and sweet potatoes, corn, and legumes (kidney beans, chick peas), are also complex carbohydrates. Whole grains, legumes, and starchy vegetables all provide significant amounts of fiber. Fiber is an important part of your diet: it helps keep your blood sugar levels from spiking too high, it can help regulate your cholesterol levels and is important for intestinal health. Refined starches, on the other hand, such as refined grains, are quite low in fiber. They may have vitamins and minerals if they've been enriched, but whole grains naturally have vitamins and minerals in them because they have not been stripped through processing. When planning your meals, focus on getting more of your carbohydrates from natural, less processed sources, whether from fruits, vegetables, whole grains, dairy or legumes. This will ensure that you're getting the most nutritious, fiber-filled foods in your diet, which will help you control your blood sugar levels and keep you feeling full and energized. How Many Carbs are In Your Fruit?